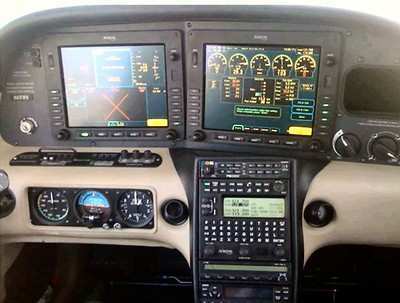 Through Brown's Operating Lease Solution, WMU's fleet of 26 Cirrus aircraft will be outfitted with Entegra Release 9, comprising dual high-resolution IFD5000 Integrated Flight Displays, WAAS-capable FMS900w Flight Management Systems (FMS), 16-watt all-digital VHF radios, and MLB700 SIRIUS/XM for broadcast datalink weather. "We have been flying with Avidyne's Entegra systems on our fleet of Cirrus aircraft for the past five years and we really appreciate the ease of use and safety the system provides," said Captain David Powell, Dean of the WMU's College of Aviation. "When it came time to upgrade our fleet, we looked at all our options, and we found that Avidyne's Entegra Release 9 Integrated Flight Deck System is simply the best one on the market. We are fully committed to Avidyne, and Release 9's fantastic FMS capabilities make it especially valuable for training tomorrow's corporate and air transport pilots." "WMU has one of the nation's premier aviation schools and we are delighted to continue our relationship as their avionics provider of choice," said Dan Schwinn, Avidyne's President and CEO. "Entegra Release 9, which is designed to make single-pilot IFR flying safer and easier, also makes a terrific training platform for the next generation of professional pilots." "We are excited to be partnered with WMU and Avidyne to deliver the Entegra Release 9 upgrade program," said Jason Griswold, Managing Director of Brown Aviation Lease. "This partnership fits perfectly with our overall strategy of enabling top-tier University and independent flight schools and fleet operators to have access to state-of-the-art aircraft and avionics systems, improving the overall performance, safety and utility of their fleets, and optimizing their ability to attract new students while preserving their operating capital." According to WMU's Powell, while the University is using general aviation aircraft to train future commercial pilots, his college's goal is to ensure students make a quick and seamless transition to the more complex electronic navigation and communication equipment that are standard in aircraft operated by commercial air carriers. "We try to equip our general aviation Cirrus fleet so that they are configured as much as possible like the commercial cockpits our students will use in the future as professional carrier pilots," Powell says. "Avidyne's suite puts our students as close as the marketplace allows. It features the kind of keyboard display unit and nomenclature used in the airline industry. Our students go on and report back to us that they are far ahead of other new hires when it's time for them to make the transition to transport category aircraft. They feel right at home in the commercial environment."